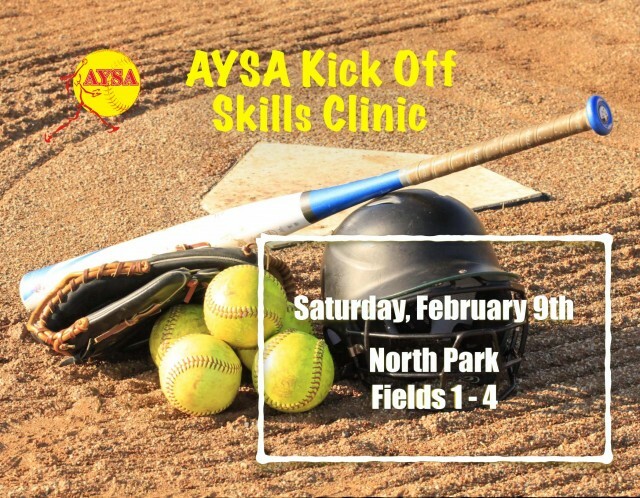 Updated Wednesday February 6, 2019 by Alpharetta Youth Softball Association (AYSA). The attached document provides the schedule for Saturday’s “Spring Kick Off Clinic” with the corresponding times and field locations for each age group. Coaches and players should be at the fields at least 30 minutes prior to your scheduled clinic times so you can meet with your team and introduce yourself. Once you have met with your team, take your players straight into the skills clinic and begin the first team practice.